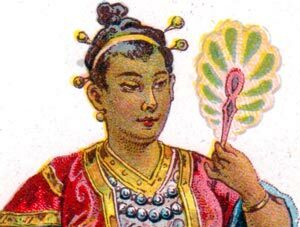 “Carte per Signora” patience sized pack was produced by Fratelli Armanino, Genova, in c.1897, printed in chromolithography with double-ended scenic aces. The texts on the aces are in Italian. 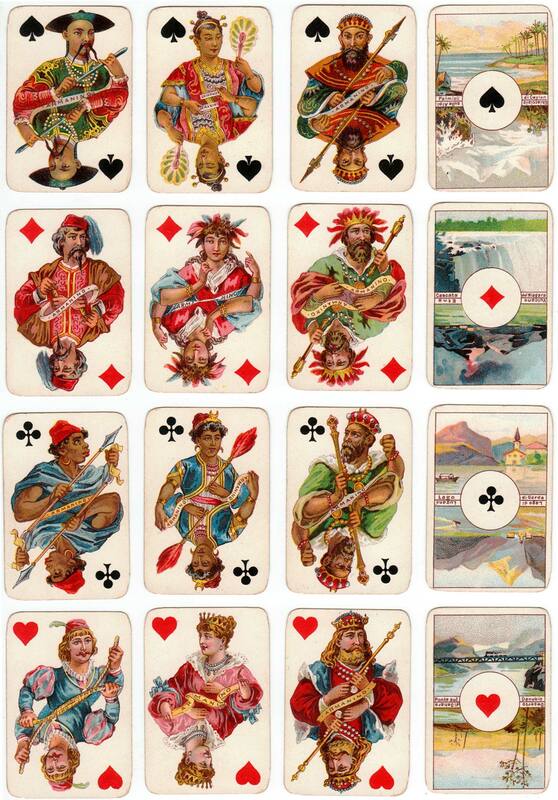 The cards do in fact closely resemble Dondorf's “Four Continents patience” (first published in c.1870) which also depicts imaginary persons and scenes from four continents, suggesting a degree of rivalry between the two firms. The Armanino brothers' firm operated in Genova until the 1920s when it moved to Rome and operated until c.1960. 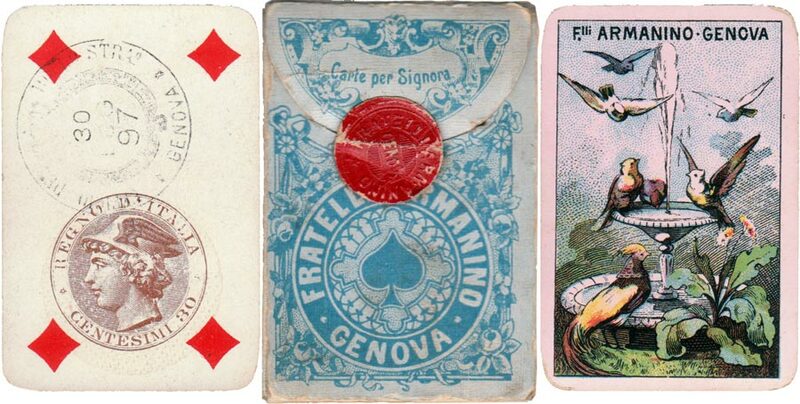 Above & right: “Carte per Signora” with double-ended scenic aces produced by Fratelli Armanino, 52 cards, Genova, c.1897. The four of diamonds has the tax stamp, with ‘Mercury’ facing left, and the value of 30 centesimi (used 1883 to 1914). Above this is the Genova tax office stamp dated 1897. Card size: 43x65 mms. Images courtesy Rex Pitts.